Wesco Seeds Ltd provide agronomic advice to our customers at no extra charge. We have five experienced consultants available to assist anyone anytime. Their agronomic services are covered below. Sowing guides, including seed varieties, ideal sowing rates and timing. Advice suitable to your climate and location, as when needed. 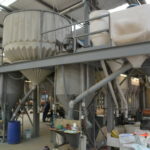 Wesco Seeds Ltd. specialises in seed cleaning. 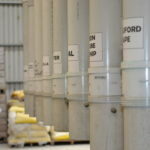 Our processing facility in Rangiora, North Canterbury is a vital component to our business as it ensures that our clients receive seed of utmost purity and with germination levels that are over and above current industry standards. Field dressed seed is delivered promptly from production farms to the centrally located plant, where samples are taken both before and after the seed cleaning process. This main screen cleaner machine is a Delta 106 model which is capable of processing 2-3 tonnes per hour of grass seed. Our warehouse also consists of other specialist machinery such as clippers, a gravity table and a crush machine which caters for all seed types. In 2011 Wesco Seeds constructed a 2200 square meter shed to cater for the rising demands of our seed cleaning service and the need for more storage space. We are now putting plans in place for future upgrades on our seed plant. Wesco Seeds has an excellent range of seed mixes for different climates. Our mixes cater for all. From hard clay country types to soft sandy loams, Wesco Seeds has the mix for you! We also do custom mixes or blends to suit your exact needs, with some of our blends having up to 25 different varieties of seed. You can contact us or pick out any seed types you want mixed on our website. You can also get your seed mixtures treated with our exclusive treatment types, click here to view the seed treatments we offer. We believe in diverse pasture mixes that will provide more options and reliability to allow scope for our customers.